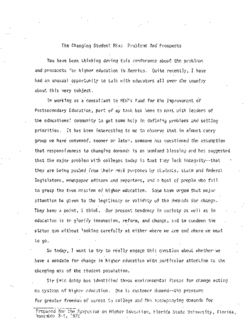 Prepared for the 1971 COSPA meeting, October 5, 1971 Washington D.C. 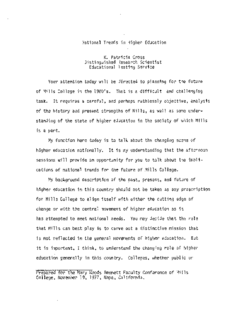 Prepared for the Arkansas Junior College Consortium-Title III, Walnut Ridge, Arkansas, May 4-5, 1972. 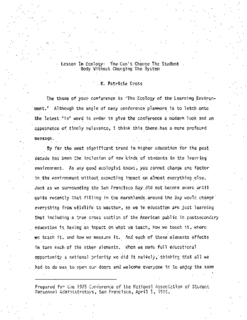 Prepared for the Eastern Association of Deans and Advisors to Students, Atlantic City, December 1, 1972. 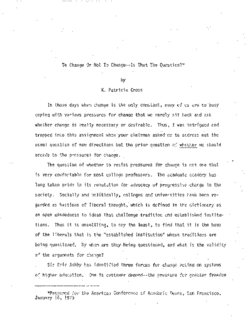 To Change or Not to Change--Is that the Question? 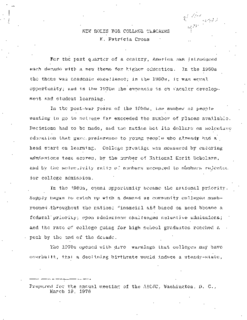 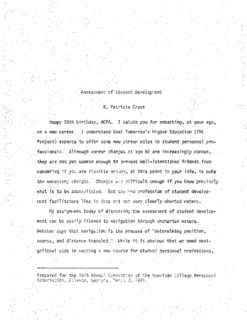 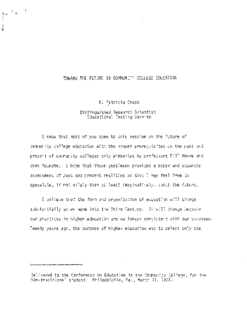 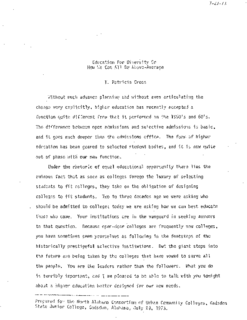 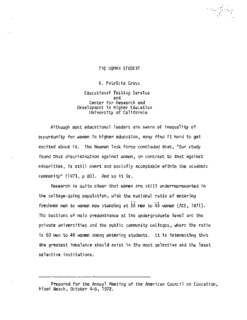 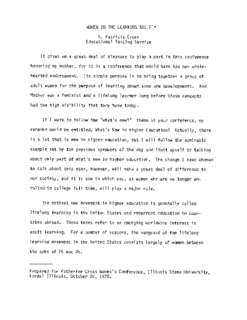 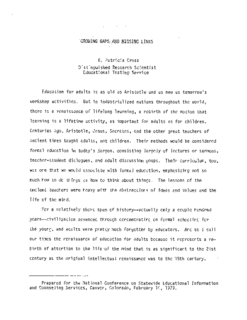 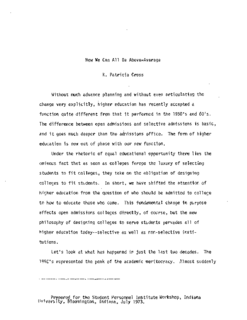 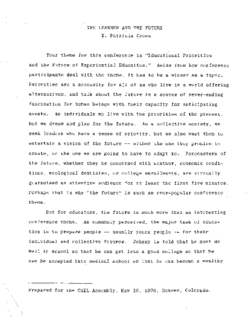 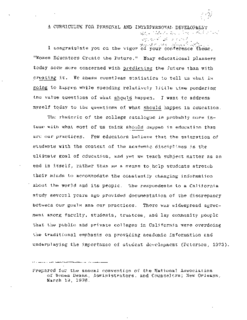 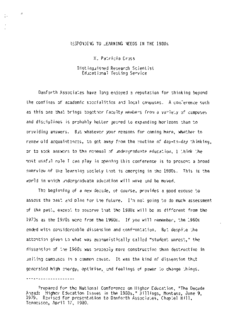 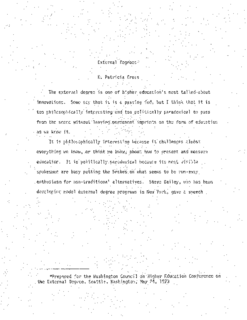 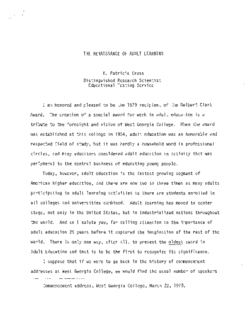 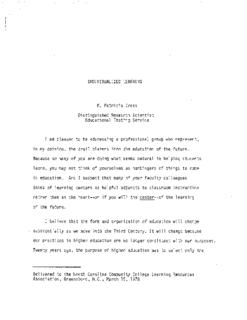 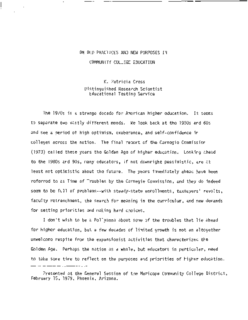 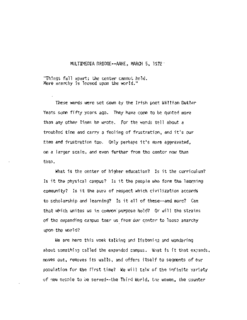 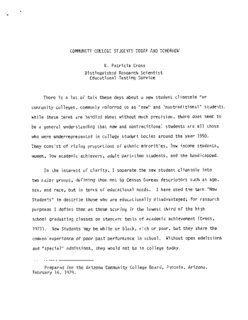 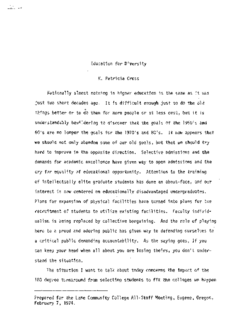 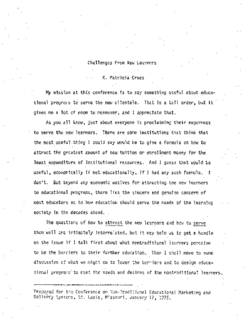 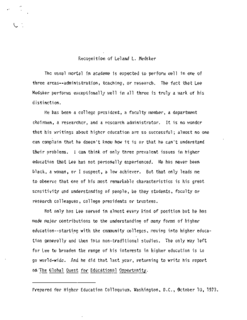 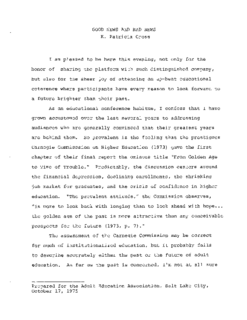 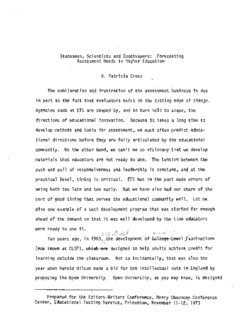 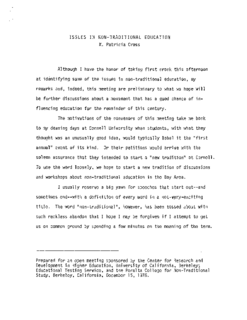 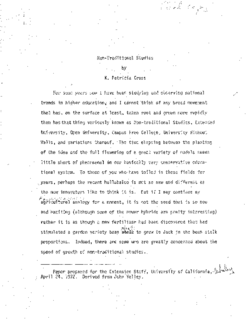 Address presented at concurrent General Session IV of the 28th National Conference on Higher Education sponsored by the American Association for Higher Education, Chicago, March 13, 1973. 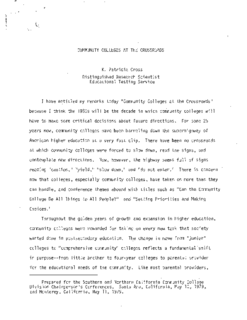 Prepared for the North Alabama Consortium of Urban Community Colleges, Gadsden State Junior College, Gadsden Alabama, July 29, 1973. 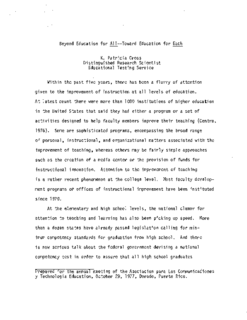 Also presented on August 26, 1973. 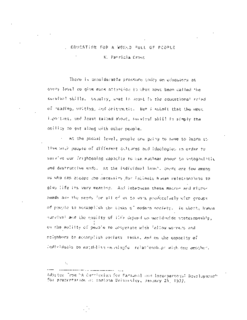 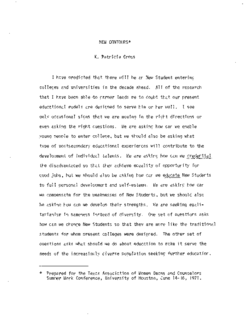 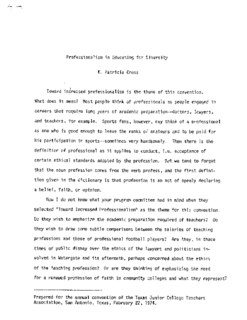 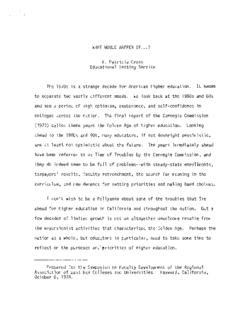 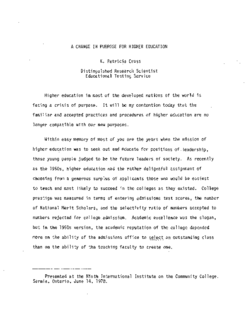 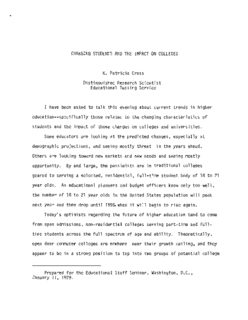 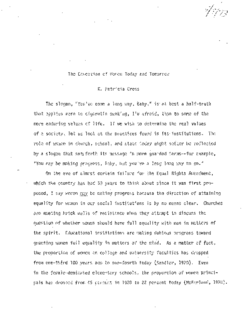 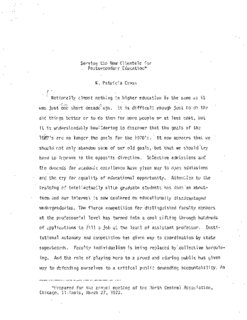 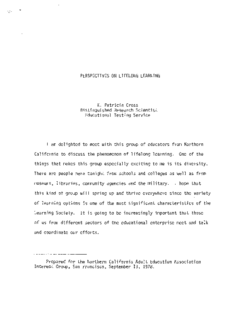 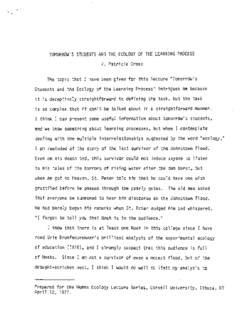 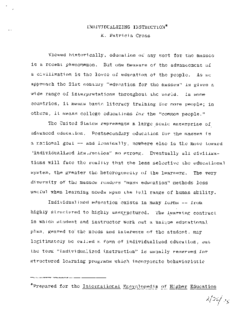 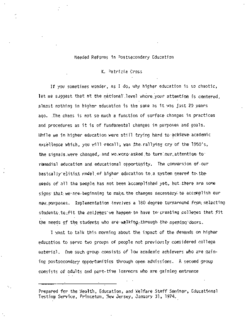 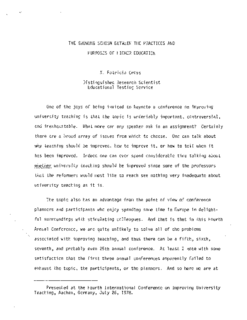 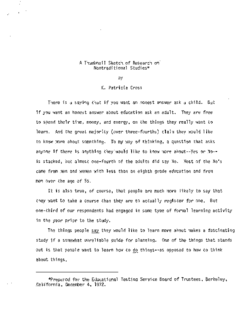 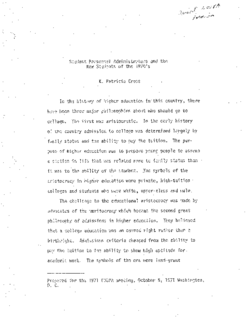 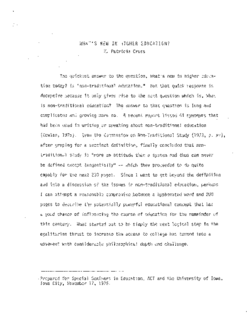 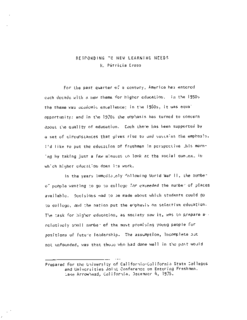 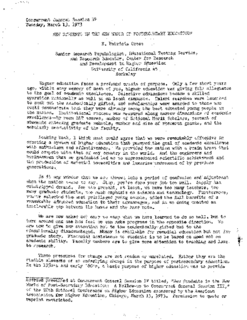 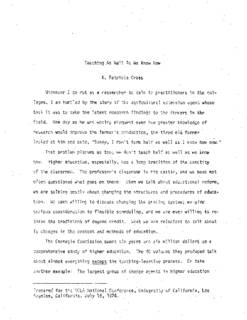 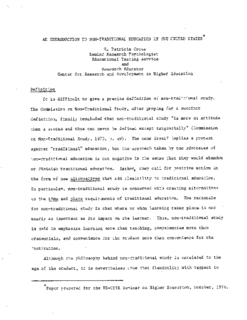 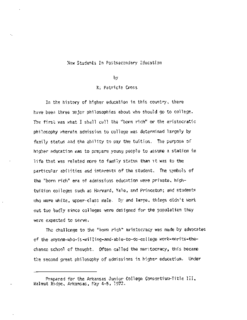 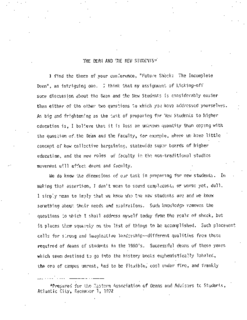 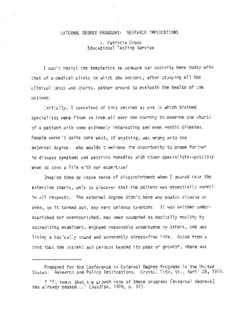 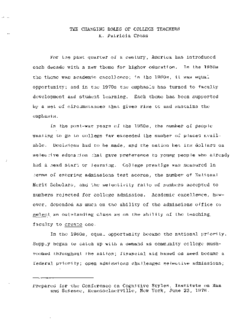 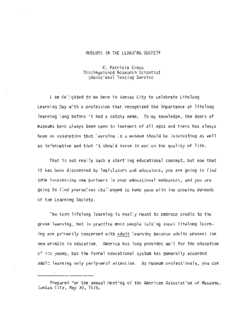 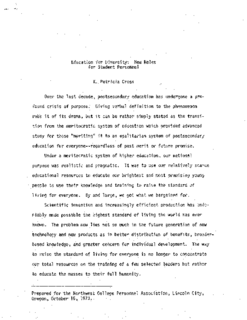 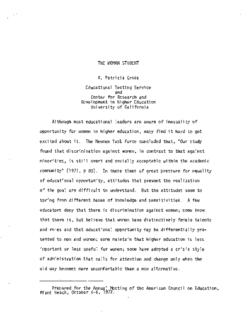 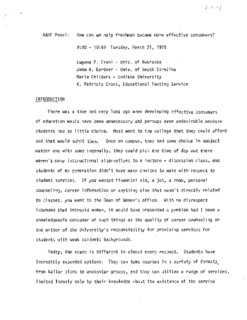 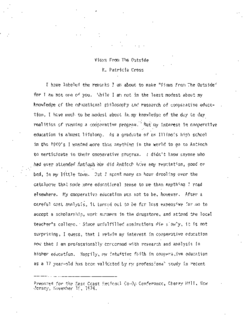 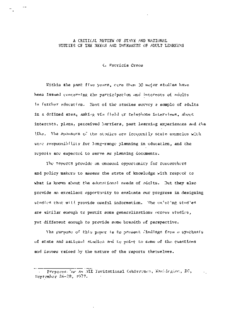 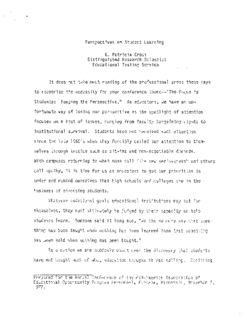 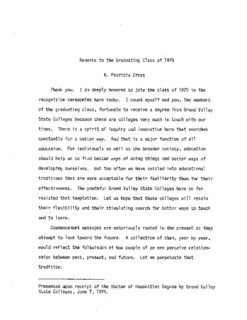 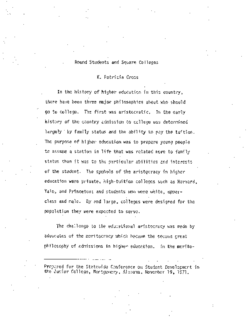 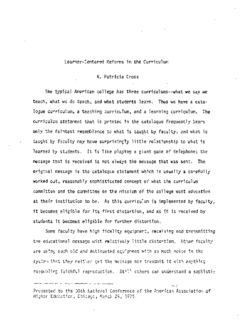 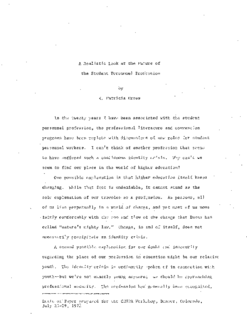 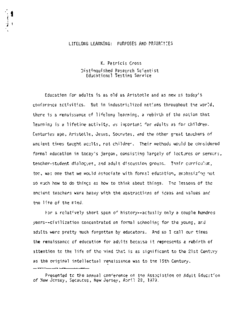 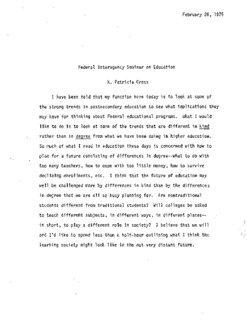 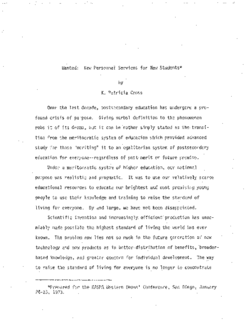 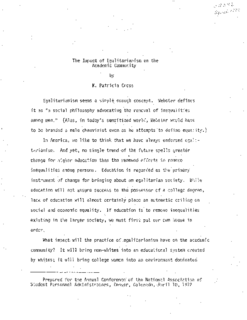 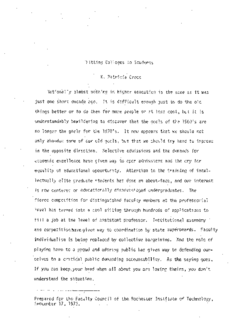 Paper prepared for the US-USSR Seminar on Higher Education, October, 1976. 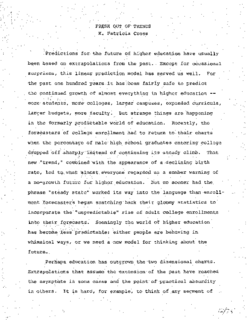 What's New in Higher Education? 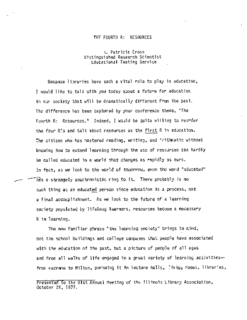 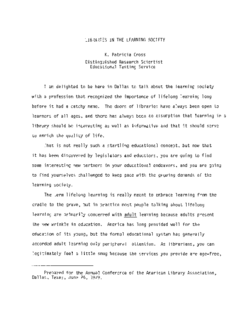 Presented to the 81st Annual Meeting of the Illinois Library Association, October 26, 1977. 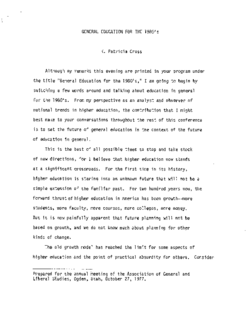 Prepared for the annual meeting of the Association para Los Communications y Technologia Education, October 29, 1977, Dorado, Puerto Rico. 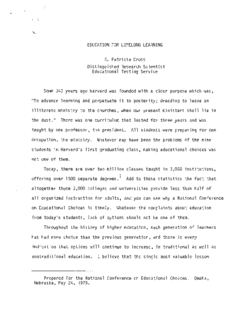 Prepared for the National Conference on Statewide Educational Information and Counseling Services, Denver, Colorado, February 14, 1979. 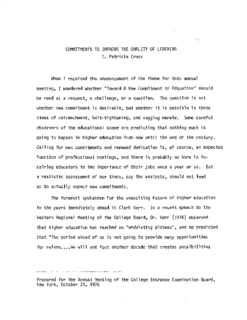 Prepared for the National Conference on Higher Education, "The Decade Ahead: Higher Education Issues in the 1980s," Billings, Montana, June 9, 1979. 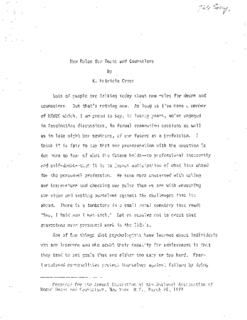 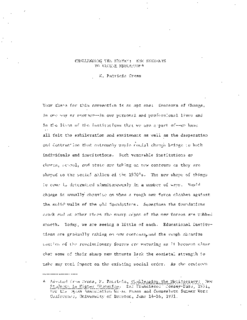 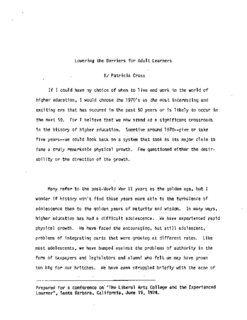 Revised for Presentation to the Danforth Associates, Chaptel Hill, Tennessee, April 17, 1980.